« The ACA (Affordable Care Act): What about the role of the physician? Windows at the top reaches of the Tabernacle. All photos by Paul Goldfinger © Click on all photographs to enlarge them. By Paul Goldfinger MD, Editor @Blogfinger.net Re-posted from June, 2014. 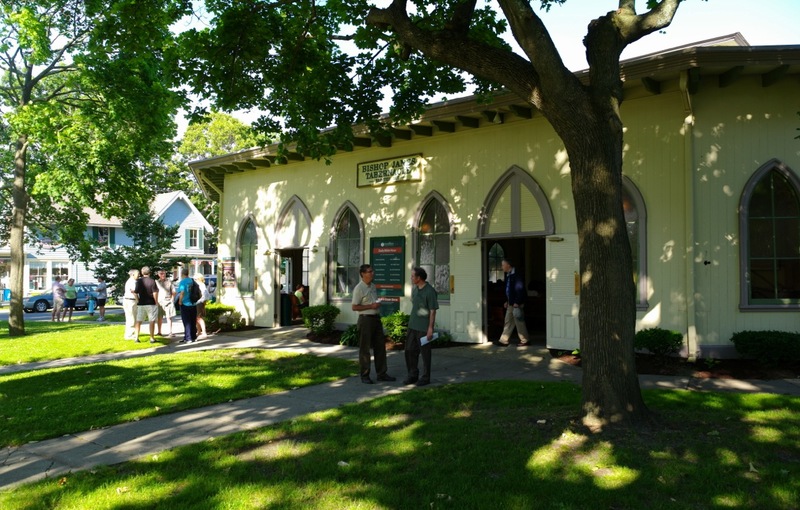 The Bishop Janes Tabernacle is the oldest permanent structure in Ocean Grove, build in 1877. It is an airy, open building consisting basically of one room and a center section on top where a sweep of windows allows light to stream in from above and illuminate the seating below–symbolic perhaps, or very practical, or both. 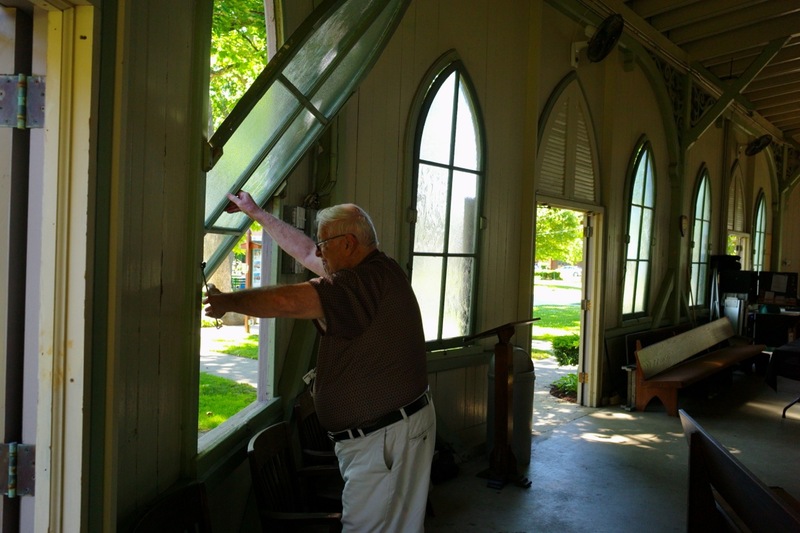 Ted Bell, Ocean Grove historian and author, showed us the 19th century ventilation system which keeps the place cool. Downstairs there is a ring of large doors and windows. The latter open in a curious way, but there is a purpose to the design. 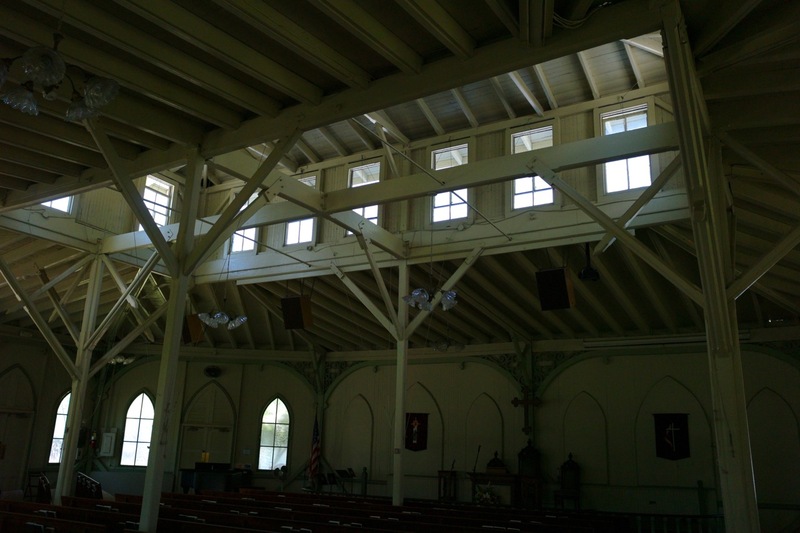 The window aims the warm breezes upward where they can stream through the top row of windows. 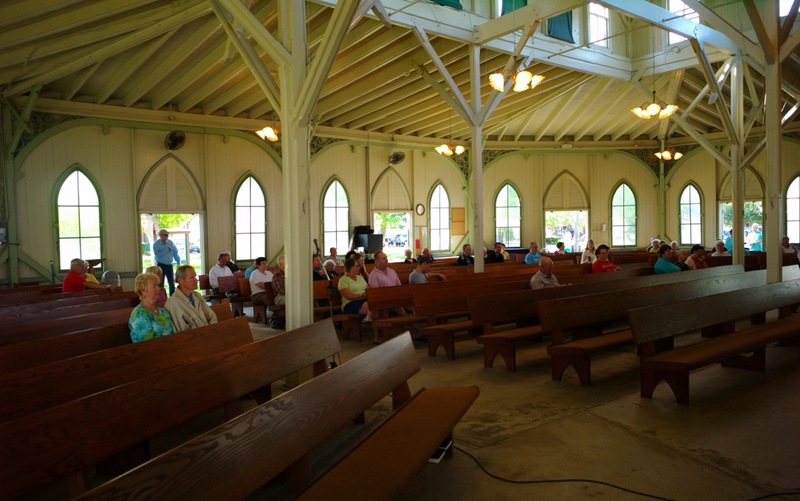 Outside, the light trickles and flows through the trees to hit the Tabernacle and create moving patterns on its outside walls and illumination for the prayer books inside. BACH: Double concerto in D minor for 2 violins and strings. With Yehudi Menuhin, Alberto Lysy, and Camerata Lysy Gstaad.